From the acclaimed author of Brothers and To Live: a major new novel that limns the joys and sorrows of life in contemporary China. Yang Fei was born on a moving train. Lost by his mother, adopted by a young switchman, raised with simplicity and love, he is utterly unprepared for the tempestuous changes that await him and his country. As a young man, he searches for a place to belong in a nation that is ceaselessly reinventing itself, but he remains on the edges of society. At age forty-one, he meets an accidental and unceremonious death. Lacking the money for a burial plot, he must roam the afterworld aimlessly, without rest. Over the course of seven days, he encounters the souls of the people he’s lost. As Yang Fei retraces the path of his life, we meet an extraordinary cast of characters: his adoptive father, his beautiful ex-wife, his neighbors who perished in the demolition of their homes. Traveling on, he sees that the afterworld encompasses all the casualties of today’s China—the organ sellers, the young suicides, the innocent convicts—as well as the hope for a better life to come. Yang Fei’s passage maps the contours of this vast nation—its absurdities, its sorrows, and its soul. 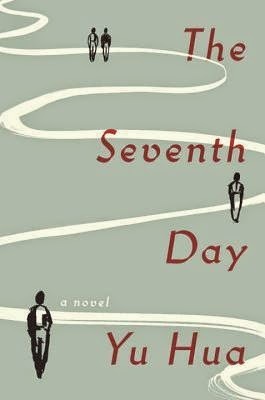 Vivid, urgent, and panoramic, The Seventh Day affirms Yu Hua’s place as the standard-bearer of modern Chinese fiction.